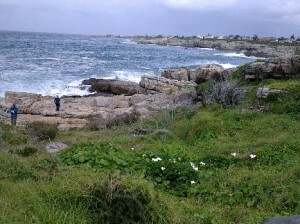 The vegetation-fringed cliff path weaves along a pretty stretch of about 10km, offering unfiltered views of the whales at close quarters in the bays below. Enjoy shows of brightly coloured vygies along the path, and keep a lookout for the rather cute little “dassies” (rock rabbits) that come out from their hiding places to sun themselves. Fick’s Tidal Pool – prettily ensconced in a rocky area. Bientang’s Cave – the site of a seafood restaurant. The Marine Hotel – dating back to the early 1900s. 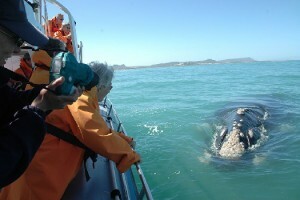 Kraal Rock – great whale and dolphin watching spot near Die Gang and Sievers Punt. 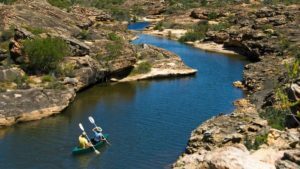 Kwaaiwater – a place where waves crash and swirl over the rocks. Voelklip, Grotto, Langbaai and Kammabaai – beaches. 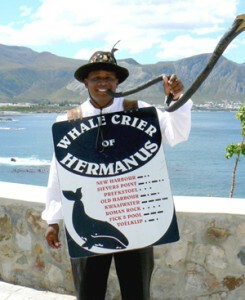 Hermanus is unique in all the world for having its own Whale Crier. His kelp horn alerts eager whale watchers to the current sightings. So listen out for his calls and look out for his sandwhich-board attire along the beachfront. Many people flock to Hermanus for the annual Whale Festival – this year it will take place from 3-6 October 2014. See More. 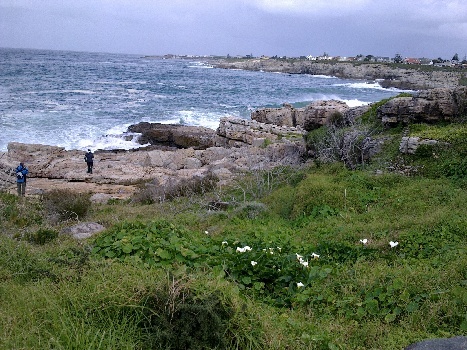 While in Hermanus for whale watching, do also visit the beautiful Fernkloof Nature Reserve. 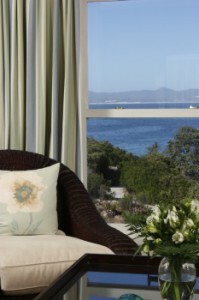 The Marine is one of South Africa’s grand old hotels, beautifully modernized to offer the finest in five-star luxury. Perfectly located up on the cliffs of Hermanus, the hotel provides front-row seats overlooking the Walker Bay whale sanctuary. 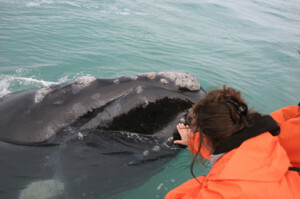 Watch whales from your room, enjoy exceptional cuisine, visit the in-house spa and heated pool between whale viewing excursions, and sip cocktails in The Sun Lounge with crashing waves just beyond. Mail to book. The Grootbos Private Nature Reserve is a magnificent nature sanctuary set above Walker Bay, and just a very short drive beyond Hermanus. 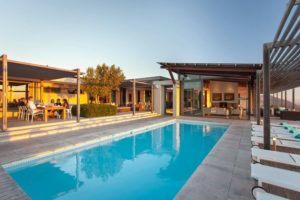 Garden and Forest Lodges at Grootbos accommodate guests in superb five-star luxury. An ancient milkwood forest is one of the many splendours of the Grootbos Reserve. Environmentalists lead fabulous whale-watching excursions on land and by boat; they also lead 4×4 drives, horse and hiking trails through forests and fynbos, and fascinating coastal walks. The food is copious and excellent and the setting truly majestic. Mail to book. If you’d prefer a self-catering apartment-stay in Hermanus, we’d recommend The Whale Coast All-Suite Hotel. Mail us to book your getaway, or call 0860 102 907 (local) or +27 21 797-7122 (international).